Written by michael. Posted on April 21, 2010. Filed under Art/Design. 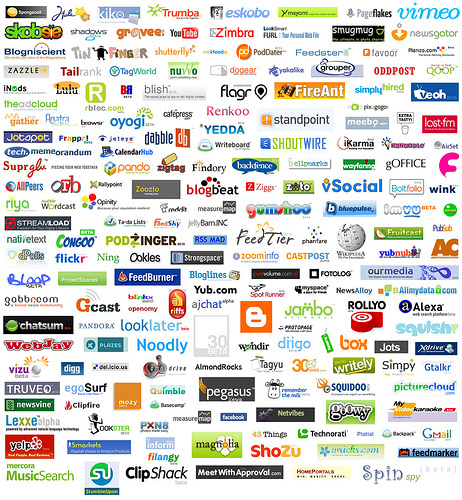 Tagged Corporate Logos, design, Graphic Design, Logos. No comments. Design is a bit like fashion, going through cycles where a particular style or ethos dominates for a time. Check out Scott Hansen’s work as ISO50 for retro-organic, combining warmth with modernism (Hansen also records music as Tycho, which sound like the audio equivalent of his design — it’s worth a listen). Notice any similarities? Do these adhere to the 45 rules? Is it more important to stand out or fit in? When it comes to rules for good design, it can helpful for guiding the process and making logo use effective and efficient (especially for the many uses of a logo in digital form). But, do rules for design kill innovation? And aren’t they fluid? 20-30 year-olds probably recognize the AT&T logo circa the 80′s and 90′s as distinct from the current one. Same goes for UPS. 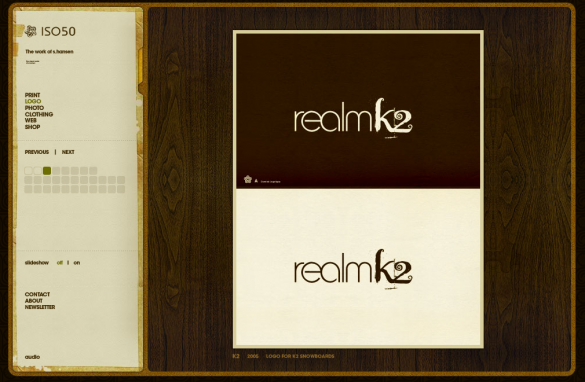 Goodlogo.com is, well, a good logo site for comparing corporate design trends. Check it out. 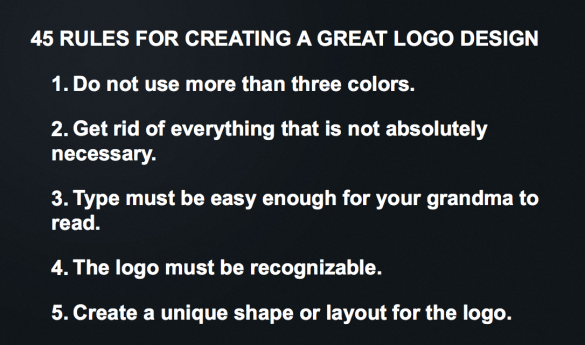 What do you think about logo design and these 45 rules (or should we say: suggestions)? Written by michael. Posted on April 19, 2010. Filed under Tech. 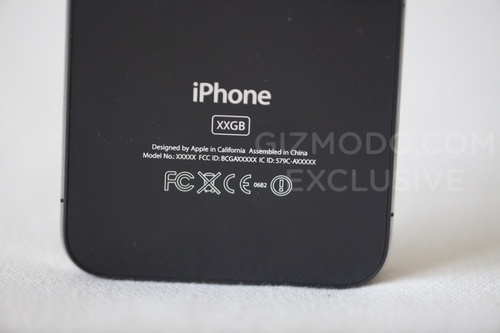 Tagged Apple iPhone, iPhone 4, New iPhone. No comments. Someone’s in trouble. Picture yourself being trusted to test the new iPhone. Then you head to a bar in Redwood City, get ham-boned and forget your phone. Whoops. What’s the worst that could happen? 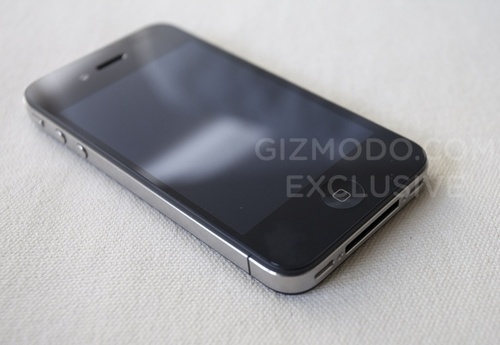 Gizmodo getting their hands on it would probably rank high among the worst-case scenarios for Steve Jobs. Somebody’s in trouble. Complete with secretive X's and such. There are several new features, mainly regarding design — it’s now squared instead of curved — and the camera, volume control, etc. Nubrella: Because you don’t want to look like an idiot getting wet, right? Written by michael. Posted on April 12, 2010. Filed under Art/Design, WTF. Tagged Bubble Boy, Nubrella, pod people, Ultimate Weather Protector. No comments. Nubrella: Look a fool. A dry, hands-free fool. That’s right. You too can look like a pod person thanks to Nubrella (I’ll give $10 to the first person who takes a picture of themselves with an iPod in their Nubrella…whoa, meta — submit pics to info@internwhisperer.com). These $35 new umbrellas (nu-brella!) are apparently, like, so much better than regular umbrellas because they allow you to use two hands instead of one. 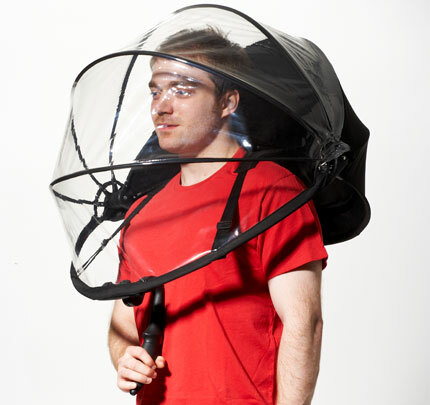 That, and the nearly full-body protection Nubrella provides will leave you feeling safe, secure and isolated from your environment and people around you like some kind of urban Bubble Boy. Check out the demo video below. 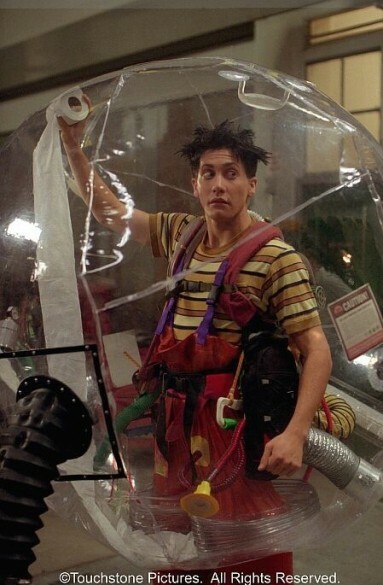 Good luck navigating New York City streets with an enormous bubble on your head. Though offering shelter from the weather to a lady-friend may offer new levels of intimacy if that’s your game plan you chivalrous dog, you. Jake Gyllenhaal extols the virtues of bubblehood. Written by michael. Posted on April 8, 2010. Filed under Art/Design. Tagged 8-bit creatures, New York City, New York City invasion, PIXELS. No comments. We can only hope when robots/computers take over the world, it’s this cool-looking.